It was only a week ago that the Labour Party made the announcement that it had chosen its new leader, a man who many are hopeful will lead the party to victory in 2017 and turn around the party’s recent crushing election defeat. 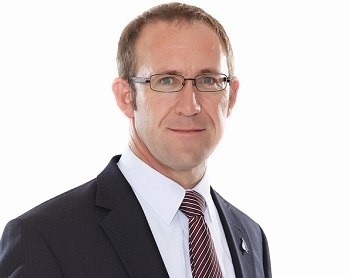 That new leader, Andrew Little, a former lawyer and national secretary of the EPMU, spoke to NZ Lawyer about his time in practice, and what legal issues New Zealand needs to deal with urgently. Born and bred in Taranaki and (interestingly) the son of right-wing Tory parents, Little says he developed a keen interest in the law as a teenager. “I’d read a book about the Derek Bentley case in the UK – he was the last person to be hanged in England – and that piqued my interest,” he says. Little went on to study philosophy, law, and public policy at Victoria University in Wellington, and upon graduation he was hired as a solicitor for the Engineers Union, which later became the EPMU. He rose in the ranks to become general counsel of a team of four, before being appointed as national secretary of the EPMU in 2000. Little says some of the challenges he faced as a new lawyer still exist today. “I was pretty much left to my own devices as a young lawyer. I’m one of those people that are happy to be thrown in the deep end and sink or swim, [but] the lack of mentoring and senior lawyers around me was a challenge. Another current challenge in the legal market in Little’s opinion is a lack of opportunities for young lawyers to broaden their horizons. It’s too easy to specialise very early on, he says. And, the underrepresentation of female lawyers in senior positions is another challenge that has been consistent over the years and was also a problem when Little was practising. Although he admits he’s been out of the law game for too long to have a comprehensive idea of the work firms are currently undertaking to retain good women, he says it’s obviously imperative that we address what’s holding women in law back. Law firms should be making it easy for women who do want time out to come back, as well as making sure they continue to have a connection and involvement with their firm during the duration of their break, he says. Looking to the broader legal challenges across New Zealand, Little would like to see two areas in particular amended. “Access to justice is increasingly becoming a problem – [there are] the changes to legal aid. The other part of access to justice in the civil area. If your claim isn’t worth $40,000 or $50,000, the economics don’t stack up. We need a lower level to deal with that,” he says, pointing to the gap in that middle that exists between the disputes tribunal and the higher courts. The other change Little thinks should be imperative is better access to the Bill of Rights Act. He wants courts to have the ability to send legislation back to Parliament to fix if there are concerns about whether or not it is compliant with the Act. It’s currently too easy for Parliament to introduce laws and legislations, he says. Little has a tough road ahead of him– three years, to be exact - to turn around the major defeat Labour suffered a few months ago… but he likes a challenge. He says the law and politics absolutely go hand-in-hand. “The interesting thing about studying law is the professors make it sound like the law is all based on principals…But I found - especially practising employment law - that you couldn’t not get political about it.